Whether you’re buying one or one hundred, it can be challenging to find a holiday card that you’re proud to sign. Hopefully, you have a wonderful local shop with tons of unique holiday card designs to choose from. In case you don’t, we’ve picked some unusual (mostly handmade) card designs that we like. Don’t see anything you like? Etsy is a great place to buy one-of-a-kind or limited edition handmade items and several of our choices feature Etsy artists. 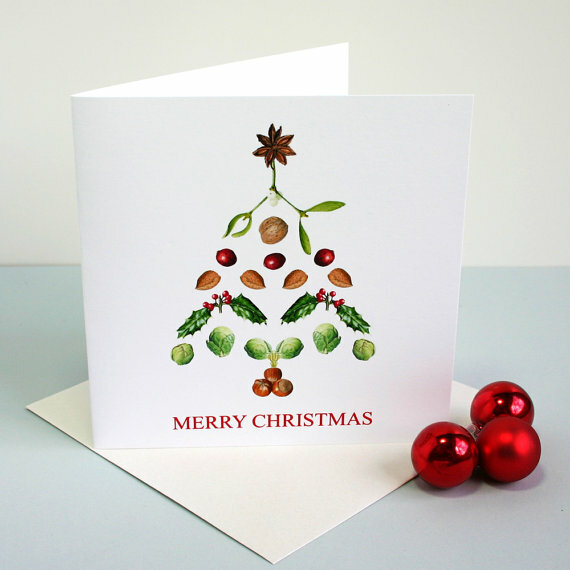 Great combination of black and white artwork with colored accent on this Christmas card. My Sheltie would NEVER allow us to put this on his head. Fun letterpress Christmas card of a ham. Quirky Happy Hanukkah card design. Shout out to card designers—there are very few decently designed Hannukah cards. Clever, cartoon-like illustration that converts Chicago skyline into a menorah for this Hannukah card. Want to be politically correct? Send a New Year’s Card instead. 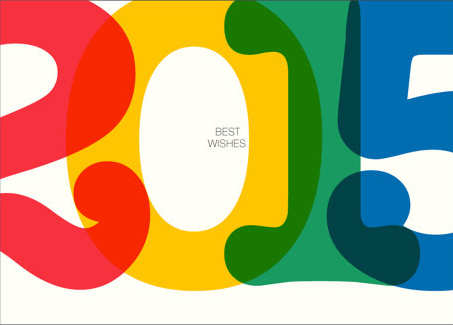 We love this colorful typographic treatment. Not sure if this popup Happy Holidays card is still available, but really appreciate the popup design. If you want to send something special to a favorite client, think about this popup Happy New Year’s card from the MOMA gift store. Hudson Valley printmaker Roxie Johnson creates a custom holiday card every year that’s worthy of framing! 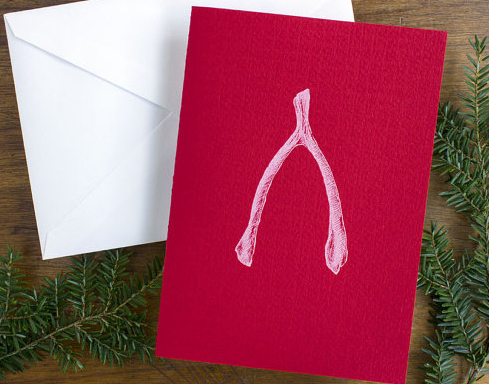 This letterpress holiday card of a sweater is available in red or green. 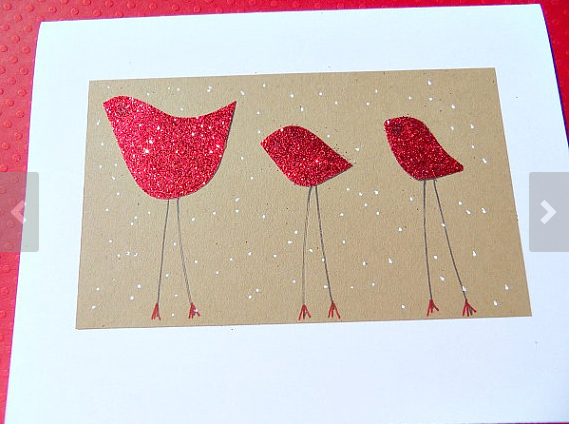 The perfect holiday card for bird lovers, this handmade gem features three fanciful red birds. Prefer a retro holiday card? This beautifully executed design recalls the look of an old timee airmail card. 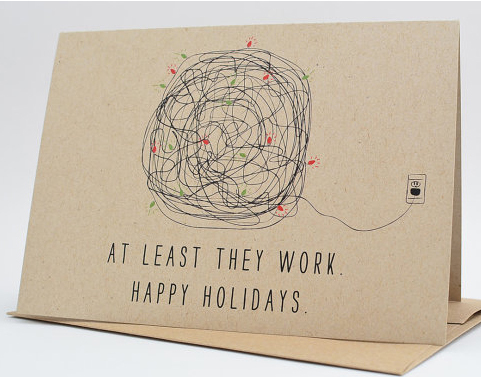 Here’s a holiday card that shows a sense of humor. Food and holidays go hand in hand! This Christmas tree made of seasonal foods and leaves is a classic graphic design that will never go out of date.